Western Land (WLS) has managed multiple FERC pipeline projects in the last several years, including a 108 mile project traversing several states, and recently attended a FERC Conference in California covering all aspects of the FERC process from planning to completion. Staying informed and up to date on all changes to industry guidelines and regulations is critical to helping our clients expedite their projects. 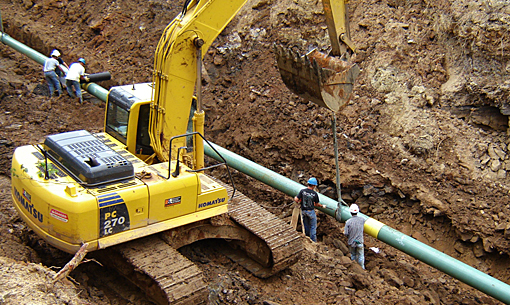 A FERC pipeline project presents unique characteristics, including the need for consistent and informative communication with landowners, project team members, government agencies and entire communities. Our project managers and land agents excel in an acquisition setting where building quality relationships with these project stakeholders is the highest priority. WLS is committed to preventing any delays or excessive costs to clients that could arise from an unsuccessful negotiation with a landowner. Our agents are charged with, and are successful in conducting negotiations that are fair, open and honest, while keeping the needs of the client in mind at all times. Sensitivity to endangered and special status species, wildlife and vegetation impact, cultural resources impact, geological hazards. Please contact our Director of Land & ROW, Mark Kalchik, MARK.KALCHIK@WESTERNLS.COM, to learn more about how our FERC experience can support your existing and future pipeline projects.